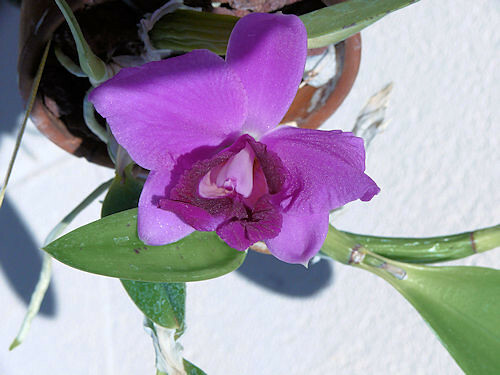 Laelia pumila in bud - Page 2 - Orchid Board - Most Complete Orchid Forum on the web ! Bud, I know this is an old thread but I was hoping you wouldn't mind telling me how you grow this. I just received one and I had simply thought it wouldn't be very different than the Mini Purples and walkeriana. Opps. How much humidity and light do you give yours? This is a very old thread and I am very sorry if this is just the time I responded to you. This plant have bloomed for me once again....and this time I waited until the flower opened. 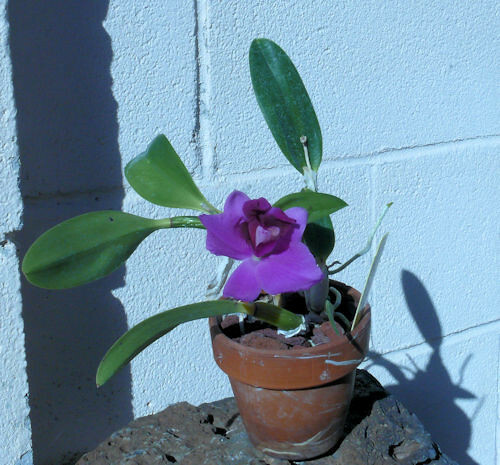 I also posted my culture and how I care for this orchid plant. I hope this helps you. This orchid plant is endemic to Northern Rio de Janeiro in Brazil, this species can also be found growing on trees in swampy woodlands. Temperature Tolerant. September-October blooming. This is one of my mini Cattleyas. I inherited this mounted in a rotting wood, so I tried to pry the roots and repotted it in a 4 in. pot. 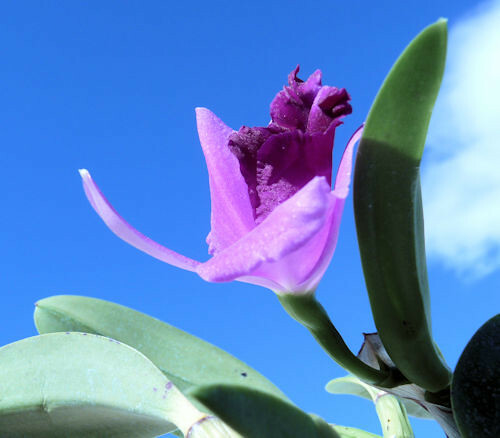 It sulked on me for years….it did not bloom; and when it blooms it only gives me one deformed flower that do not open fully in all its glory. But I love the colors and texture of the petals. I hope this plant recovers and gives me bigger flowers. I put this on the east facing window making sure there is no direct sunlight, or the leaves will burn. This is indoors and has a constant temperature of 80 degrees. With electric humidifier that has a fan for air flow. I water this plant every other day in the warm months and once a week in winter. I feed it fertilizer weakly weekly and stopped in winter to resume feeding in mid spring. Even if it is permanently indoors, I still give it winter rest from 22 of December to 22 of April it only gets a weekly watering. Because even in its habitat the morning dew in winter still gives this plant water. I posted this in 2011....Leafmite requested for my culture in 2015....well, I guess cya all next year! 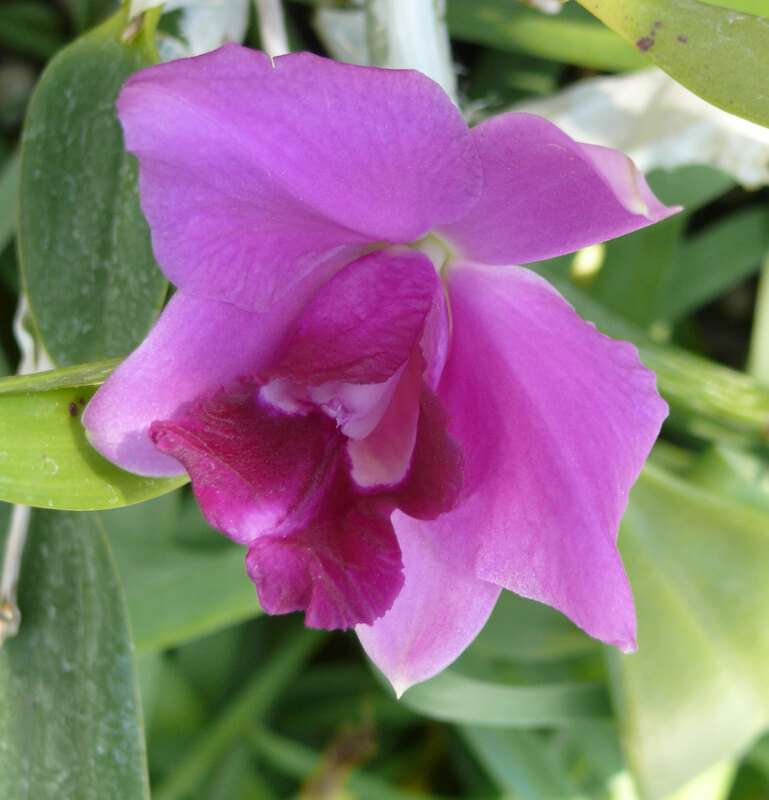 There are some orchids that sulk. Like for example, Vandas, cut their roots and forget about them growing for a year or so. 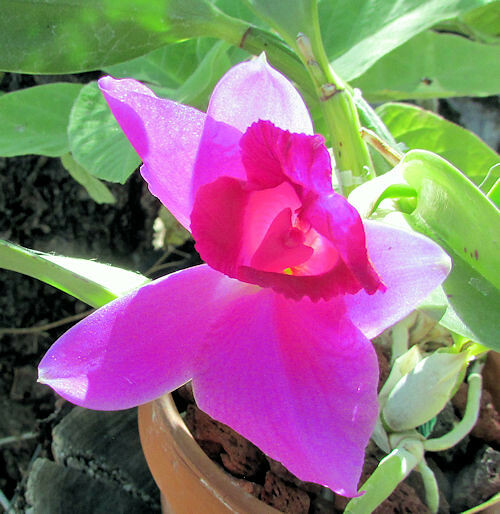 Orchids are moody....I read from another forum that a glob of honey or a drop of superthrive in your fertilizer water will usually help unshock plants. And it is slowly manifesting on this orchid plant. When a mount rots (wood mounts inevitably do) I have found that it works well to just tie the plant with disintegrating mount to a new mount. The new roots will attach to the new mount, the older ones don't get disturbed, but as the old roots die, eventually the remains of the old mount can be easily removed and the plant does not even notice a transition. Right, but I like my mounts neat and clean. Besides, I do not have the patience to wait for the old mount to completely rot.